Gone are the days when we heard constant complaints from Policemen that they are treated badly by their superiors and the government too does not provide any facilities to them. Thanks to the initiative by some welfare-oriented senior Police officers who have served Mysuru, the Police personnel are getting good facilities that take care of their daily needs. These facilities are aimed at improving their standard of life as they slog day-in-and-day-out to maintain law and order and discipline traffic. These facilities — Aarakshaka Kalpavruksha and Police Canteen — have no doubt eased the financial burden of Policemen but at the same time are making them take pride in what they are doing. This Weekend Star Supplement takes a peek into the facilities offered to Policemen and also presents a unique jail bakery where quality snacks and pastries are prepared within the walls of the jail and served outside for the general public. 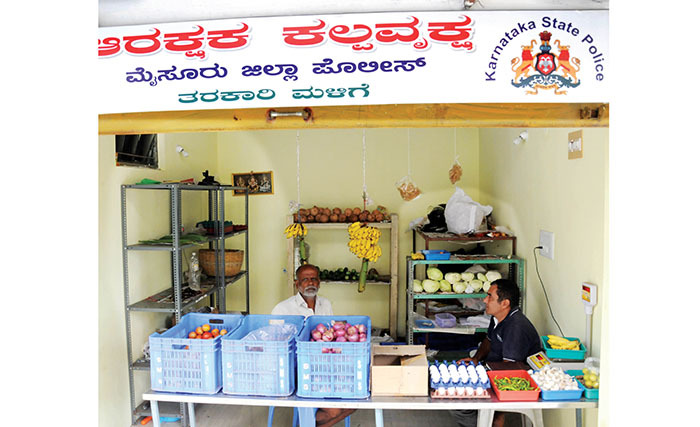 When Aarakshaka Kalpavruksha, a police-friendly canteen that supplies subsidised food for Policemen, was launched in Mysuru last year, people thought it to be like any other canteen that supplied food at lesser cost. But the canteen has proved them wrong and is a resounding success with Policemen making the best use of the canteen and the department innovating and implementing various measures to make it a super hit. For the record, the Aarakshaka Kalpavruksha completed one year on May 26. 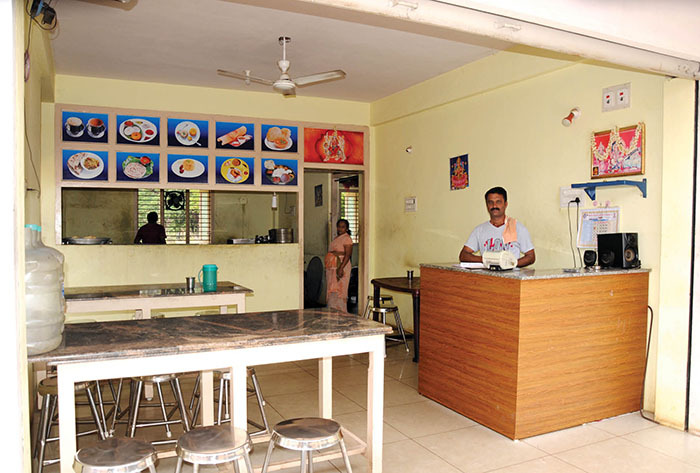 The then Superintendent of Police Ravi D. Channannavar had initiated the facility after the resounding success of “Cops Cafe” introduced by him when he was the SP in Shivamogga. The canteen is functioning from District Armed Reserve Grounds at Jyothinagar. Apart from providing food, the canteen also supplies daily items required for Policemen under subsidised prices. The canteen serves breakfast, lunch and dinner and facilitates the families of Policemen to purchase goods that will be lesser than the market rates. As one enters the canteen, he/she can see a board where it is written “Service is our Aim”, “Food, not sermons, must be given for the hungry”. Along with the regular breakfast, lunch and dinner, chat items, beverages and cold drinks can be savoured here. Apart from serving the Policemen, the canteen also provides quality household items under subsidised rates. The prices are less when compared to the market rates and shoppers can buy products that are cheaper by 15 to 20 percent from the regular markets. Items including clean drinking water, groceries, vegetables, oils, bakery items and other necessities are sold here. A board that reads “Food, not sermons, must be given for the hungry” is placed at the entrance of the Kalpavruksha canteen. It is a popular joint for Policemen and their families to spend some quality time shopping and savouring tasty snacks at affordable prices. The canteen is a boon for the Policemen of the city, especially those living in the vicinity of Jyothinagar, Gayathripuram and Raghavendranagar including District Armed Reserve Police, City Armed Reserve, City Civil Police and people living in KEB Quarters, Central PWD Quarters, Air Force Quarters and surrounding areas. Apart from obtaining subsidies for household items and groceries that range from 15 to 20 percent, the canteen is a beehive of activities in the evenings where Policemen come there with their families after a hectic day of work to relax and savour tasty evening snacks – from mushroom chilly to Gobi manchurian to churumuri, fried rice and noodles. Snacks and food rates start from Rs. 5 up to Rs. 30. 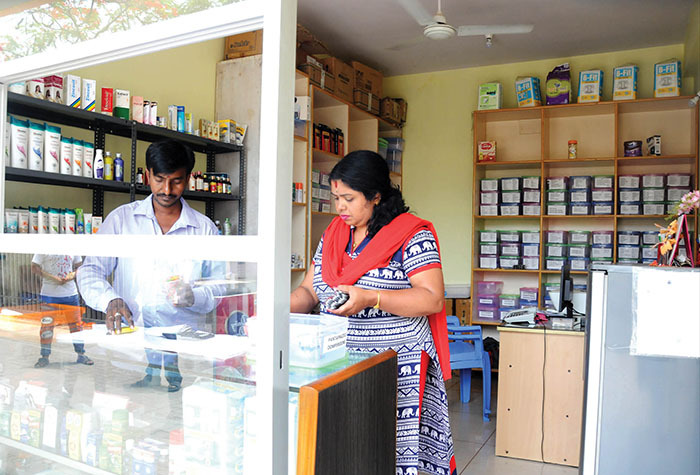 For those who need medical supplies and cannot afford the steep prices outside, the canteen has an exclusive wing that sells medicines under subsidised prices. The outlet is open from 9.30 am till 10.30 pm, every day. Those who need clean drinking water can get 20-litre cans and fill water after inserting Rs. 5 into the machine. So popular is the drinking water supply unit that every day, people buy more than 300 litres of pure water from here. There is an ATM attached to the State Bank of India within the canteen premises. One notable aspect in the canteen is that the vegetables sold here are organic where no chemicals are used. 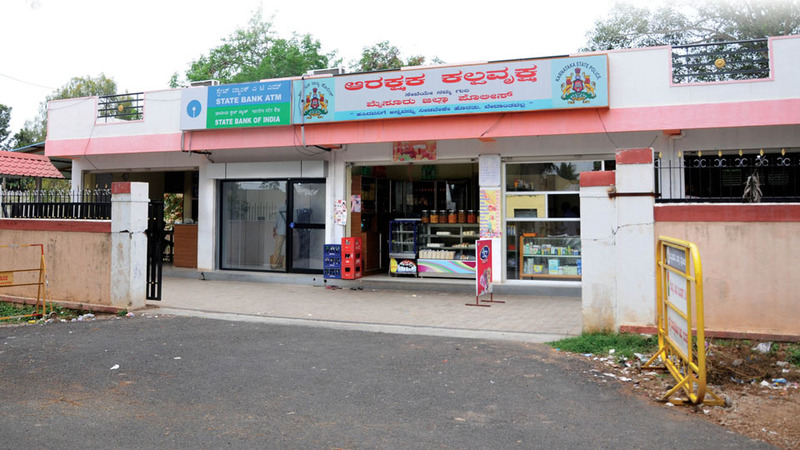 There is a separate Nandini Milk Parlour where Policemen can purchase dairy products. While the grocery unit and the clean drinking water units are managed by the Policemen themselves, other units have been given to private parties to run and manage. 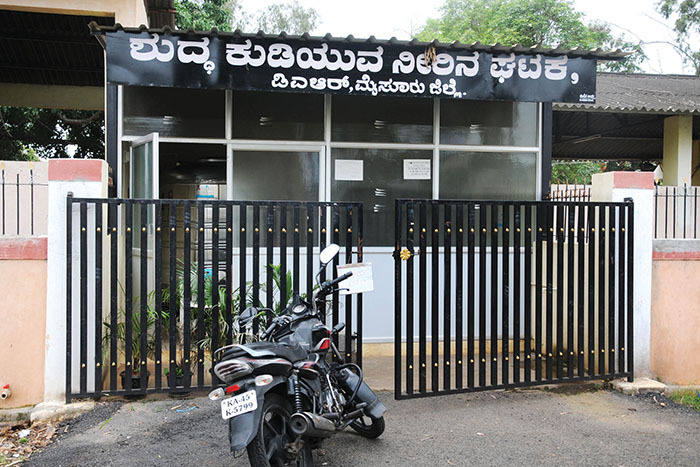 The canteen is managed by Reserve Police Inspector Shankaregowda. So popular is the drinking water supply unit that every day people buy more than 300 litres of pure water from here. Speaking to Star of Mysore, several Police constables appreciated Aarakshaka Kalpavruksha and the services the unit is providing. The canteen facility is surely benefiting Policemen, especially lower-rank officers, as they would get discounts on all items sold at the canteen. “The canteen also sells cosmetics, kitchen utensils and household goods. We are lucky to get canteen facility and moreover, the goods here are sold at 30% less price than MRP. All Police officers are eligible to buy goods up to Rs. 3,000 a month,” a constable added. 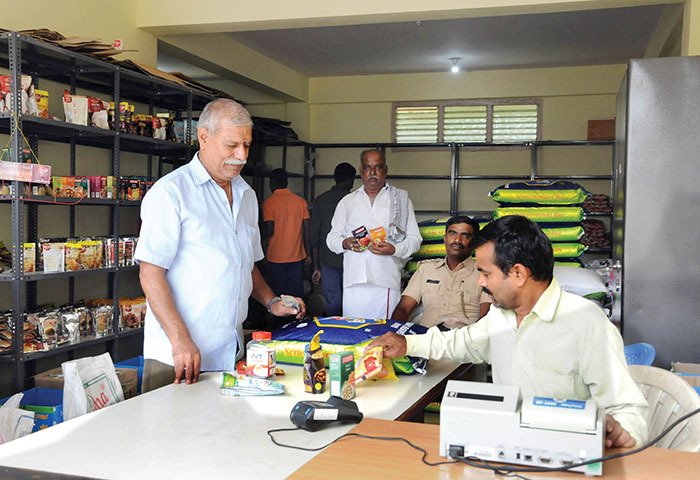 Mysuru Superintendent of Police Amit Singh said that the canteen is a boon to the constables and their families as they can fulfil all their daily needs and they get to buy quality products under subsidised prices. “The canteen was established by Ravi Channannavar considering the 24/7 hectic nature of work of the constables. We will extend the canteen soon adding new features and sections,” he added. Commenting on his own initiative and the success of Aarakshaka Kalpavruksha, former Mysuru SP Ravi Channannavar, who is now the Deputy Commissioner of Police Bengaluru West, said that his intention was to provide a quality life for the Policemen. “I wanted to establish ragi, wheat, jowar floor mill at the canteen premises and before I could make any move, I was transferred. I also wanted to establish an exclusive unit that sells handicrafts made by the children of Policemen and physically challenged children. I had even spoken to R. Guru of Cycle Pure Agarbathies in this regard. 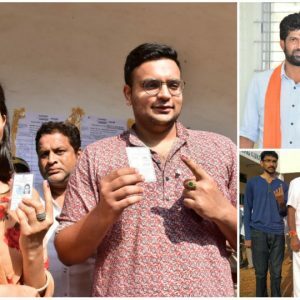 I hope that officers in Mysuru take this forward,” he said. Ravi remembered the help and assistance he had got from Police officers in establishing Aarakshaka Kalpavruksha – the then DCP Dr. Vikram V. Amathe, South Rural Inspector Jagadeesh, Sub-Inspector Jayaprakash, Shankaregowda, Shivakumar of Reserve Police and Armed Police Head Constable Manu. The City Police Canteen was started when Dr. M.A. Saleem was the City Police Commissioner in 2014. The canteen is located on the Lalitha Mahal Road on the campus of Karnataka State Reserve Police force near the City Armed Reserve Grounds. Here too, household items are sold at a subsidised price between 20 and 30 percent. Starting from basic necessities like toothpaste, brushes, oils, soaps, decorative items, the canteen sells snacks, shoes, belts, caps, fans, stoves, cooker, and electronic items too. Except for groceries, Policemen come here to buy almost all items needed for their houses. 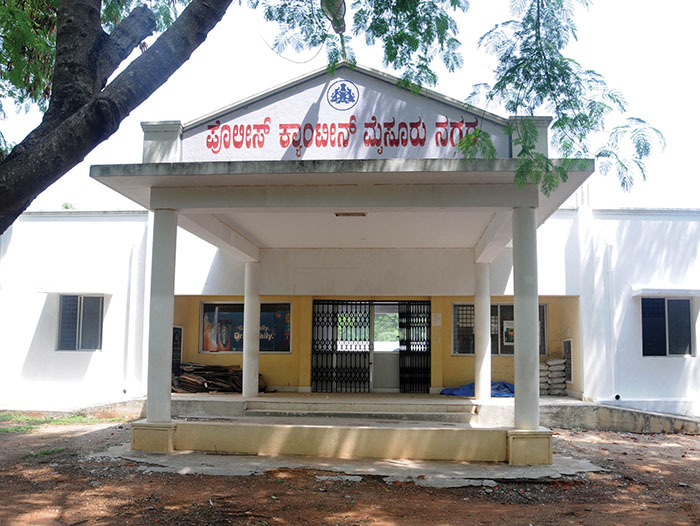 The City Police Canteen located on Lalitha Mahal Road on the campus of Karnataka State Reserve Police (KSRP) force near the City Armed Reserve (CAR) grounds. 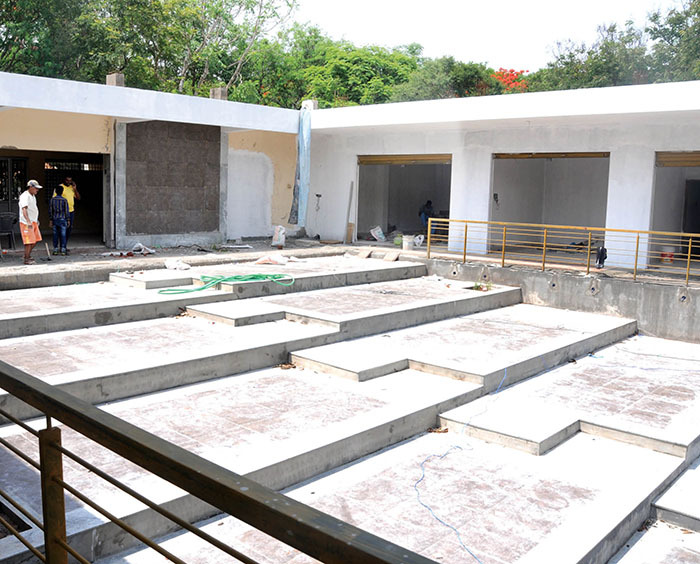 The canteen is being renovated and expanded to have more facilities and items on sale. The canteen is open from 10 am till 1.30 pm and from 3.30 pm to 6.30 pm. Policemen can produce identity cards and each person can buy items worth Rs. 3,000. 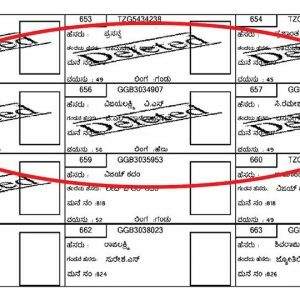 Following the resounding success of the City Police Canteen, the same facility has been extended to the district Police where a canteen functions at District Armed Reserve Grounds at Jyothinagar. Speaking about his intention of establishing the City Police Canteen way back in 2014, Saleem, who is now the Additional Director General of Police (ADGP) Crime in Bengaluru, told Star of Mysore that his intention was to provide same facilities to the Policemen that are availed by the Armed Forces. As the Armed Forces serve the country across land, sea and air, Policemen too serve the nation by maintaining law and order 24/7. They too deserve such facilities, Saleem said and added that he was happy to note that the canteen has been successfully running.